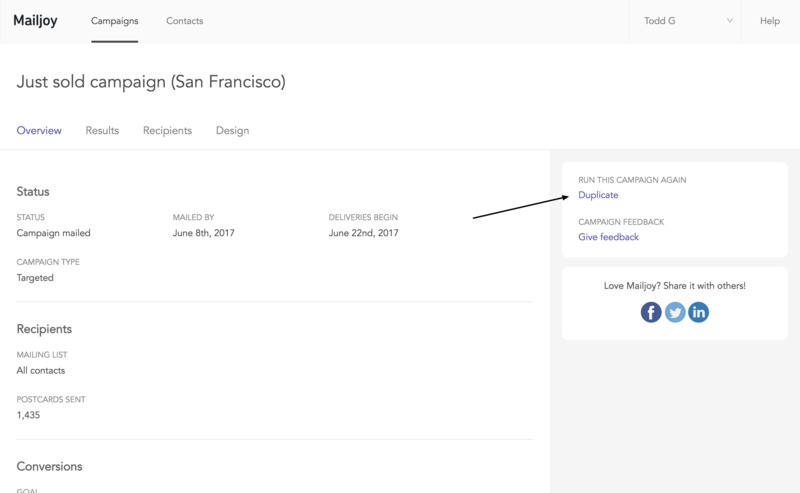 If you'd like to resend a campaign, you can easily duplicate it from the campaign report. Simply click the Duplicate button. Duplicating a campaign will create a new campaign with the same mailing list, design, and sender info as the original. If no changes are required, you can immediately order it. It's really that simple!